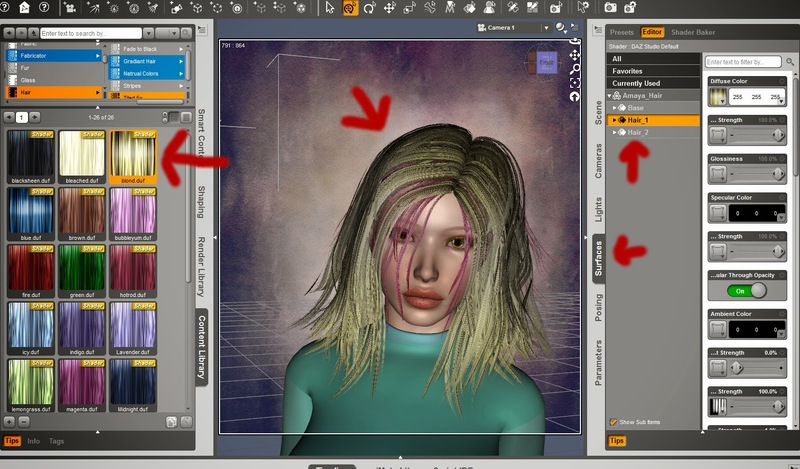 Welcome to my "Mostly Universal Hair Shader Tutorial!" Why is it only "Mostly Universal"? Well in theory it should work all on all hair, however, it may or may not look good! That is why I wrote this little tutorial to help explain how it works! 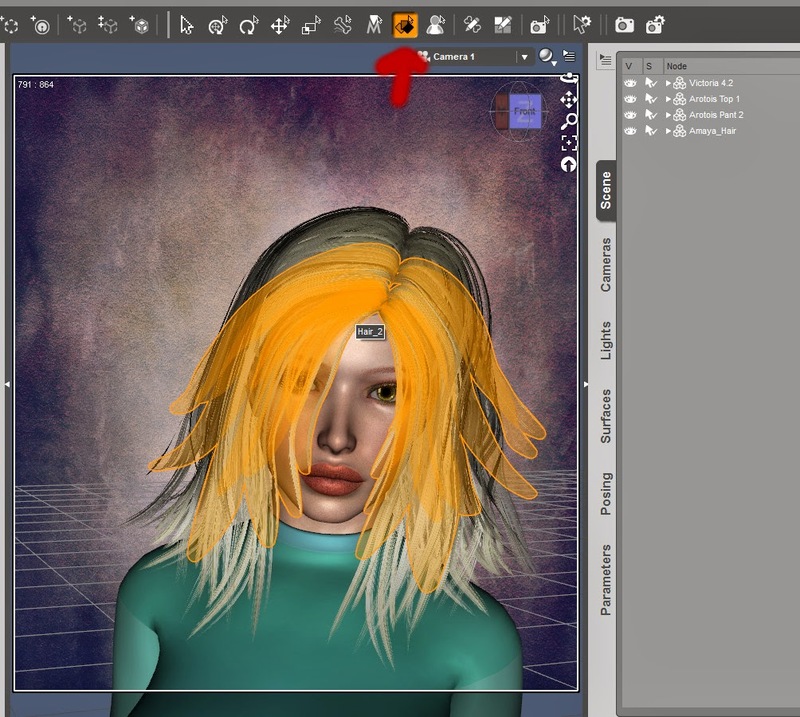 After opening a scene and setting up a character and putting some hair on, browse to the "Hair Shaders" in your content library. 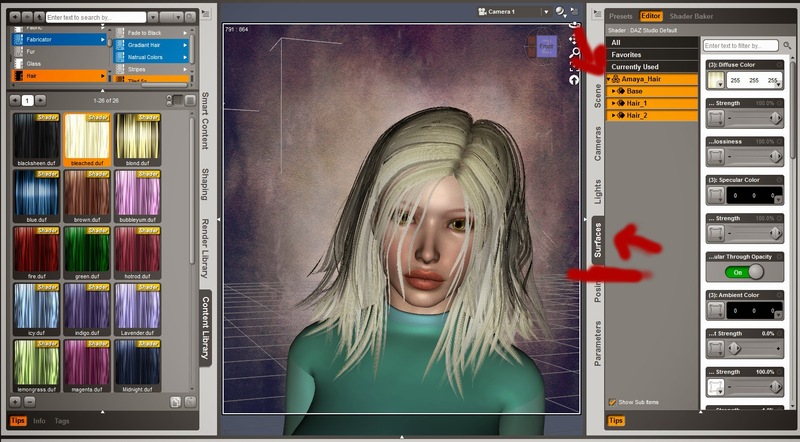 For most hair cases use the 5x Tiled hair, see problems section for information on the 1x Tiled hair. You can select the hair color three different ways. 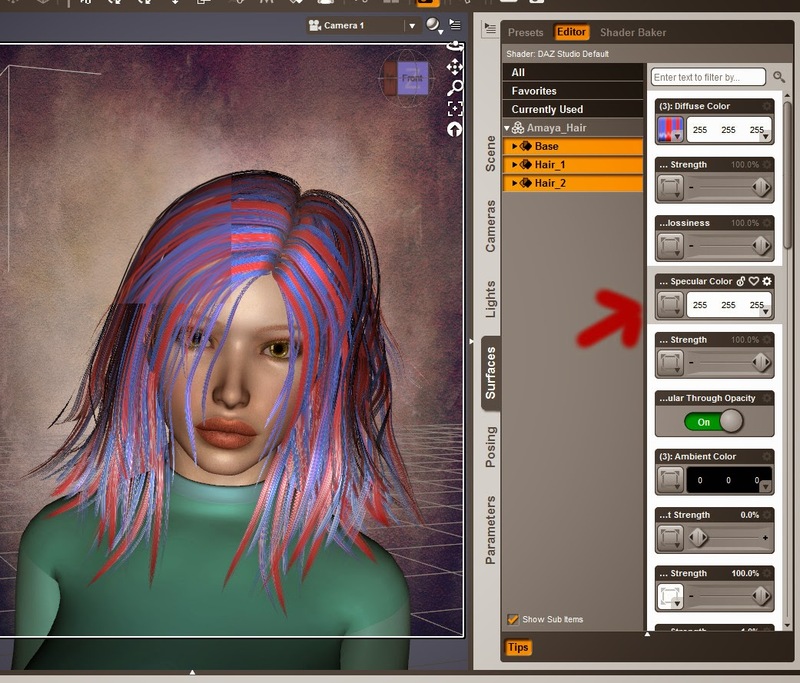 You can directly select the hair from the scene tab, then double click on the shader, which should change the color of the whole hair. When you double click on the shader the color of the hair should change. But they I wanted it to be all of the hair you say? 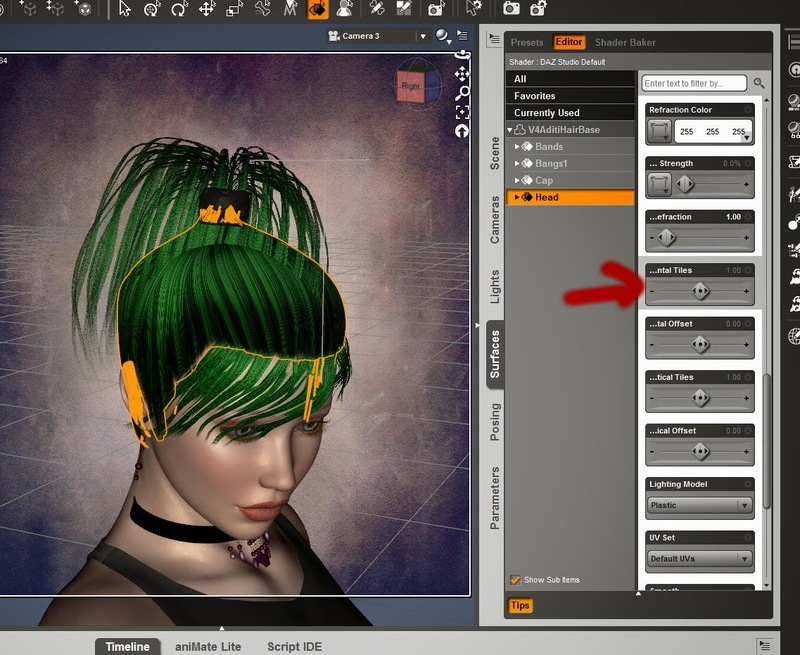 This way of changing the hair can be extra helpful if you do not want to change all parts of the hair color, you can select only part of the hair to change. Note: currently all of the Amaya hair is selected and therefore highlighted. 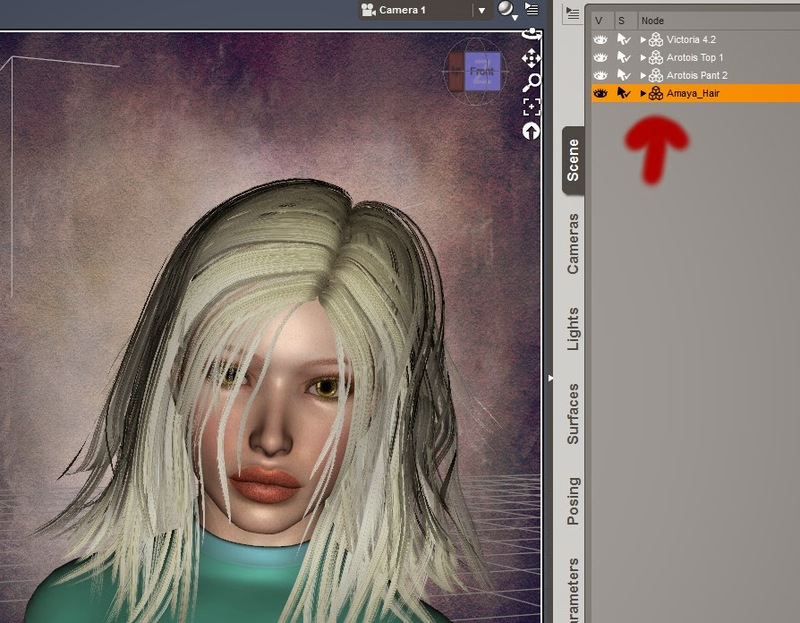 In this case I have changed the hair_2 to Hot Rod and the rest to Blond, resulting in a layered look. The hair color looks really funny! What the heck!? 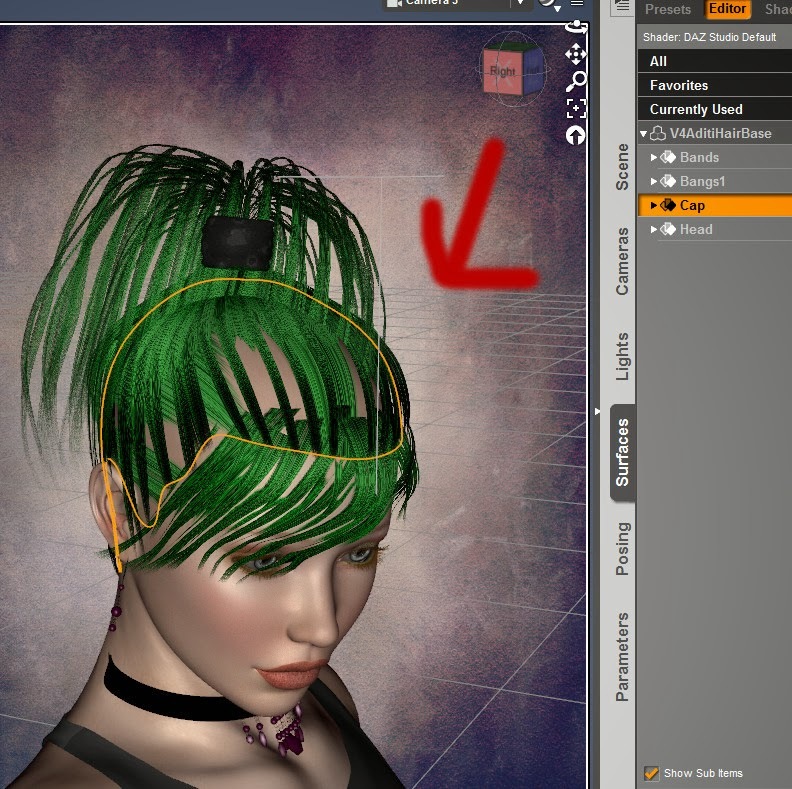 As I said it is a "Mostly" Universal system, there are some types of hair this will simply not work well with. See the suggestions below on how to fix problems with the system! When I double click on the shader after selecting the hair nothing happens! 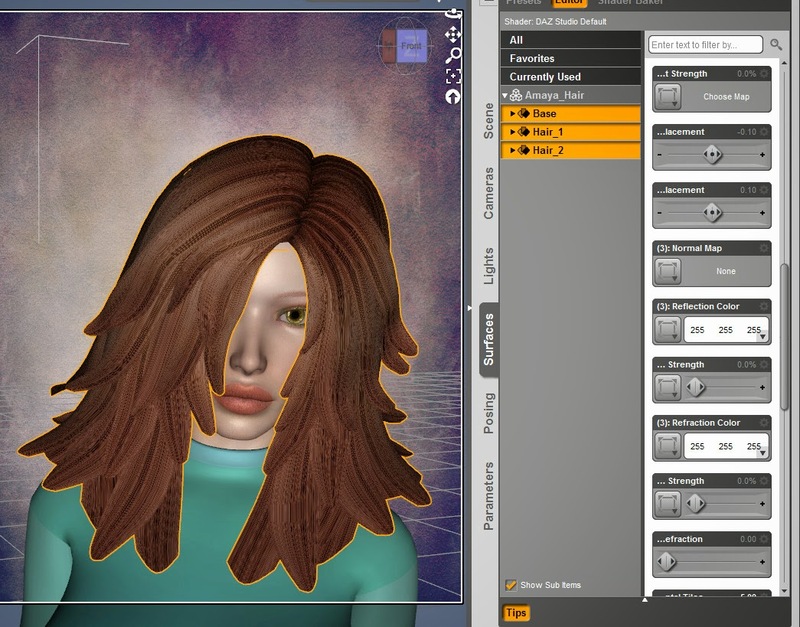 Try going to the surfaces tab and then double click on the shader, or use the surface tool to select the hair. The hair color is showing up as almost white! This is most likely because the specular color is "white", change it to black and see if that fixes it. 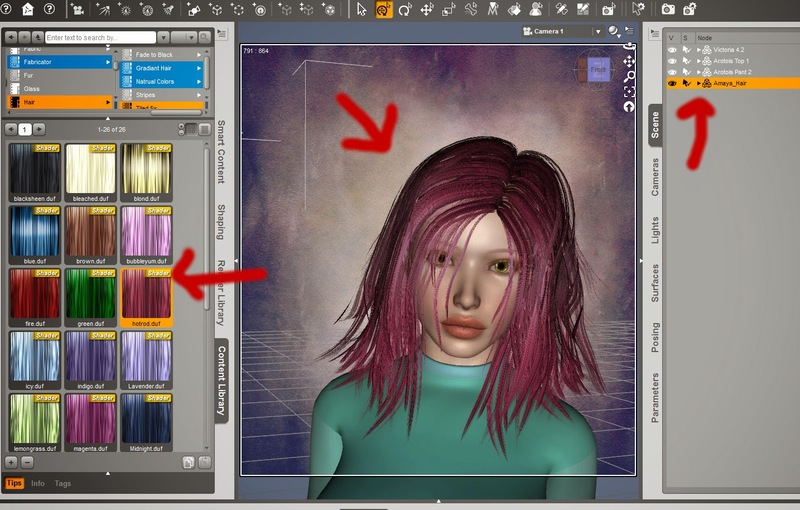 note: you can adjust both the specular and diffuse colors to further customize the hair color! There are big gaps and missing parts?! 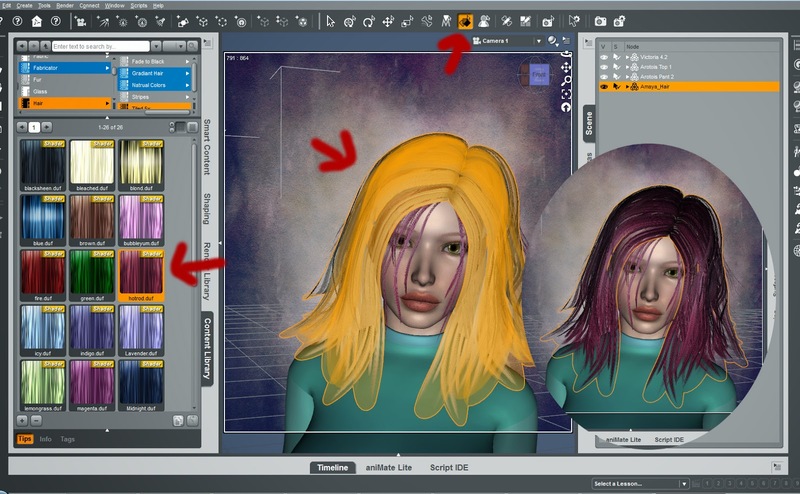 Try using the 1x tiled color on "Base" "Hair" or "Cap" of the hair, which can be selected in the Surfaces tab. In this case Aditi hair has both "Cap" and "Head" that need to be changed to 1x horizontal tiles. Note: this seems to happen on particularly often on hair that has "ponytails" and other parts that stick out. The resolution is not good? This is probably because the tiling is not working well, or you are doing a very close up image (alas not all the colors look awesome in super close ups!) To adjust the tiling go to the surfaces tab, and scroll down the list to "horizontal" tiles, if you are having gaps, decrease the number of tiles to 1. If the hair resolution is just blurry increase the number of tiles to 8 or 10 and see if that fixes the problem. Note: increasing past 10 tiles will not likely improve the situation, as there is limited space and it doesn't seem to fix the problem. Note: messing with the vertical tiles can get very weird results! I do not recommend this! I am getting big blocks at the end of the hair! Somehow you have overwrote the transmaps for the hair, go back to the original hair colors that came with the hair apply one of those, then try using the shader again. These are the main problems that I have had with the shaders. Please let me know if you have any questions! Can I put white stripes in black hair?